We loved reading the story of The Gingerbread Man, our favourite part was when the fox tricked him at the end! We thought about ways to help The Gingerbread Man cross the river so he didn’t get eaten. We used our spare gingerbread men that we didn’t eat and made boats, bridges and even spider webs! We worked together to stick different coloured pieces of card on it. 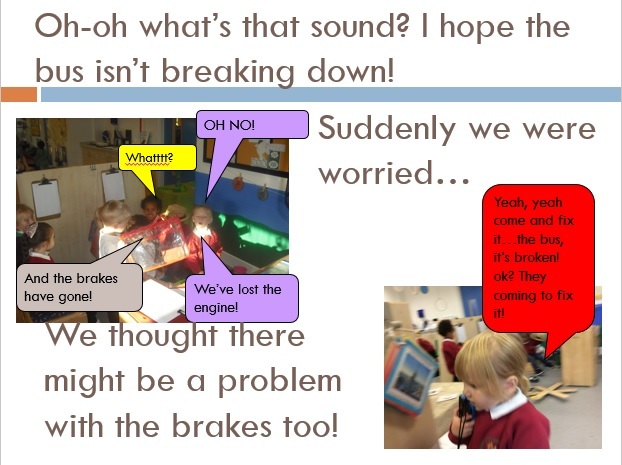 Then we added special features like wheels, headlights, windows, a moving door and even a magnetic registration plate. We are very proud of our bus and have already been on lots of adventures to the park for picnics, Monkey business and Asda! In nursery we love a competition. At the moment our favourite thing is to get into teams and play board games. We played some games where it was a race to the finish and other games where we had to get the most treasure. We used a number track to keep track of who had the most treasure. 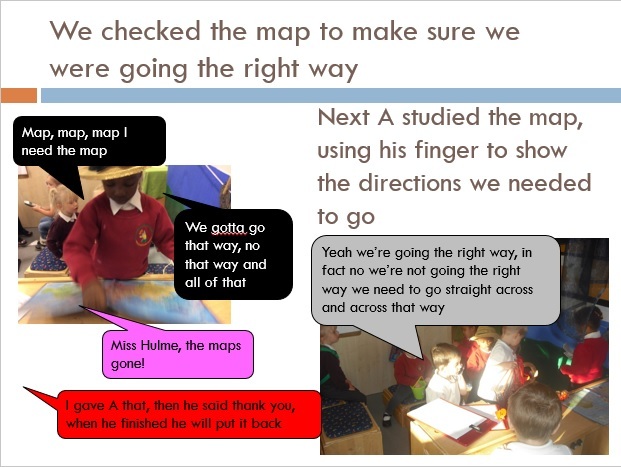 Then we made our own games using maps. We thought of ideas to write on the cards. We had to think of some ways to add more treasure and some to take treasure away. Both teams were very keen on the idea of taking each others’ treasure! Next we might need to work on being good winners! Board games are a great way to teach children lots of skills. 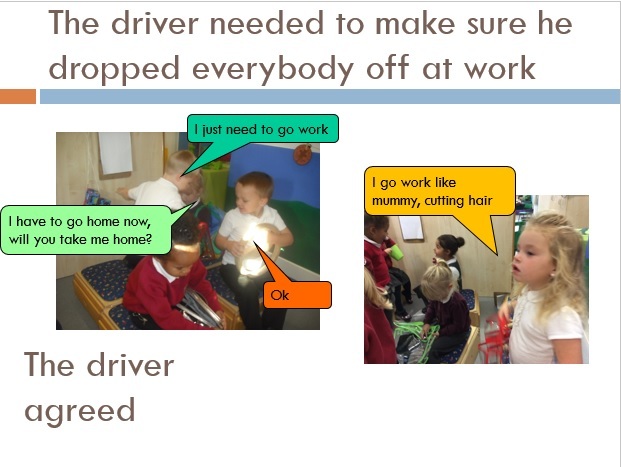 We learnt about following instructions, taking turns and working in a team. We learnt lots of maths skills by counting the spots on the dice, matching numbers and amounts and counting on. We thought about whether we needed to add or take away as we picked up the challenge cards. The children even started to work out who would win based on what they rolled. Why not play board games at home? Dice or spinner games are great for teaching maths skills. A lot of board games involve counting, turn taking and following instructions and are a fun way to teach children these skills. We had a fun afternoon in our art studio today making…Splat Art! First we squeezed blobs of different coloured paint onto our card. We talked about the colours we could see before hiding them under circles of cotton wool. Next came the fun bit. We hit the circle with a plastic hammer and watched the paint go splat! We experimented with tools and hitting to try and make the biggest splat! Then we took away the circles and looked at our pictures. Finally we mixed the paint together with our fingers to see what colours we could make. We had lots of fun making our splatter art. Why not continue having fun with paint at home? Try painting with tools from around the home – spoons, mashers and spatulas make great painting tools. Playing with finger paints is a really good way to explore what happens when you mix colours. 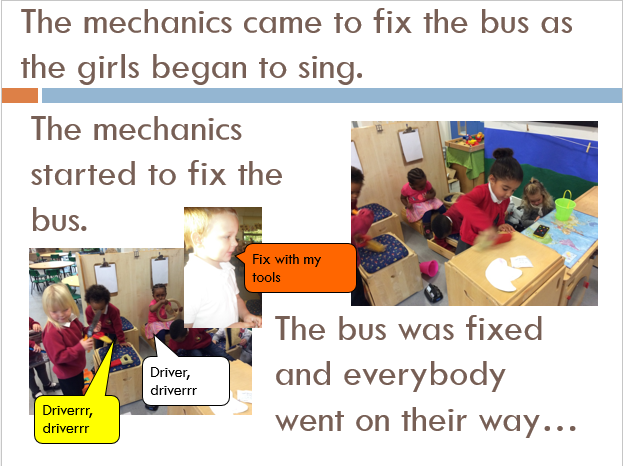 After lots of talk about travelling and vehicles the children started making buses using the chairs around the classroom. 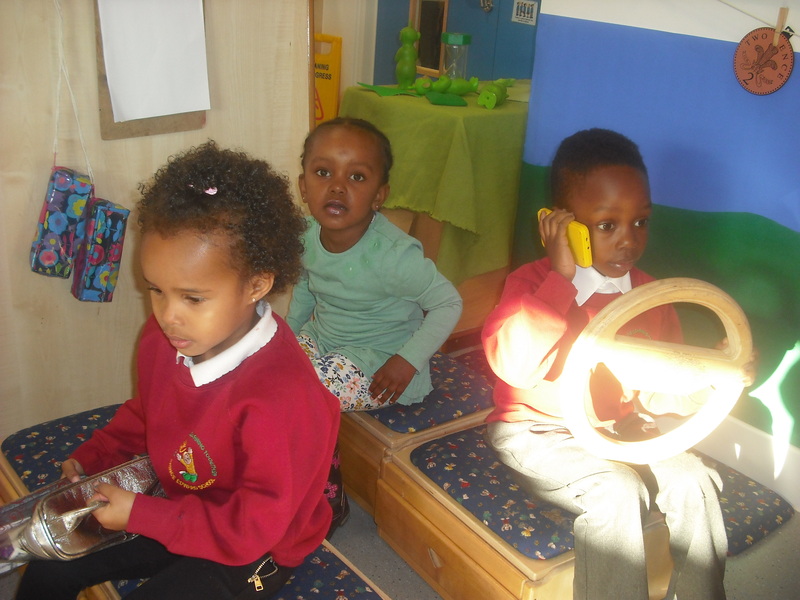 They went on lots of adventures so we decided to change our role-play area into a bus too. 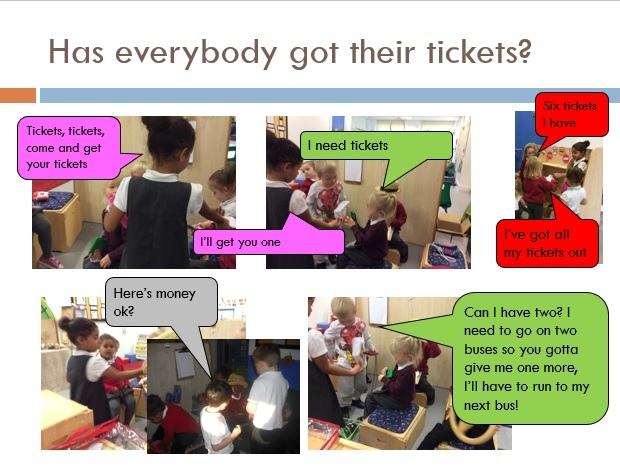 We added money, steering wheels, phones, maps, bus tickets and seats. We also added bags and torches to pack for adventures. 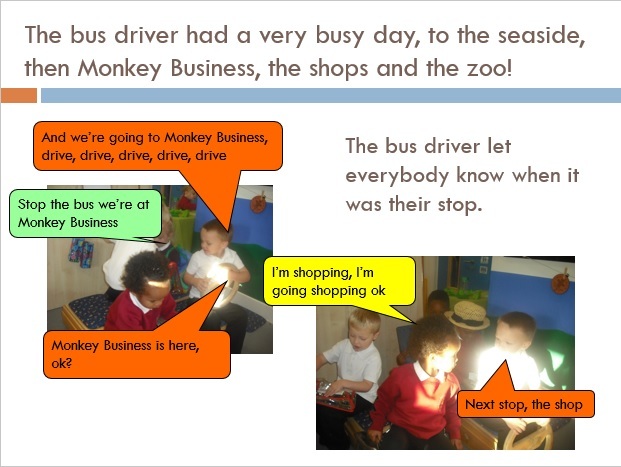 In nursery we have been working on our story telling skills. 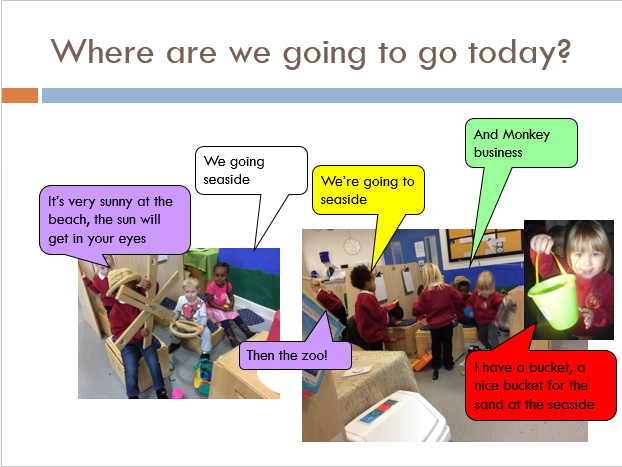 There are lots of places in our classroom for us to practise our story telling. We have our story board where we use the pictures to tell a story. We had pirate pictures but Elsa, Ana and Olaf have also arrived due to popular request! The children collected writing tools to write their stories down. We used the story stones to make up our own stories with friends. 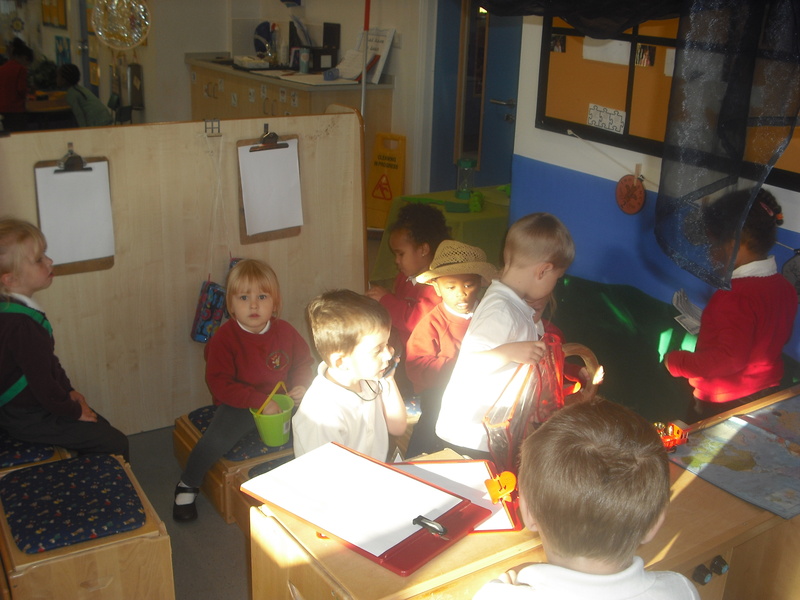 Our role-play area is a great place for making up pirate stories! We have added some more characters to our block area to encourage the boys to tell stories when they are building. Some of the children also wrote their stories in their writing journals while other children chose to draw maps or write special messages. Do you tell stories at home? You could tell stories about your drawings, use your toys to tell stories or dress up and make up stories. You could even make your own story stones. All you need for story stones are flat(ish) pebbles/rocks and pens or stickers. We use the stickers or draw pictures on the rocks. We have stones with different characters, places or objects on. To make your stones last longer you can paint them with a layer of glue. We have been having lots of fun learning all about pirates over the last few weeks. Last week we made pirate ships outside and acted out some fun pirate stories. First we collected some resources for our ship. We found tubes, poles, fabric, pegs, net, crates and even treasure chests! The Pirates decided if they were good or bad Pirates. The pirates then went on a hunt for some treasure and found an empty treasure chest. Luckily the the pirates found some gold for their treasure chest and put it in their ship. Just as the pirates made plans to hide their treasure, along came a bad pirate! With a little help the bad pirate took the treasure! The good pirates tried to get the treasure back but the bad pirate hid it in the trap! 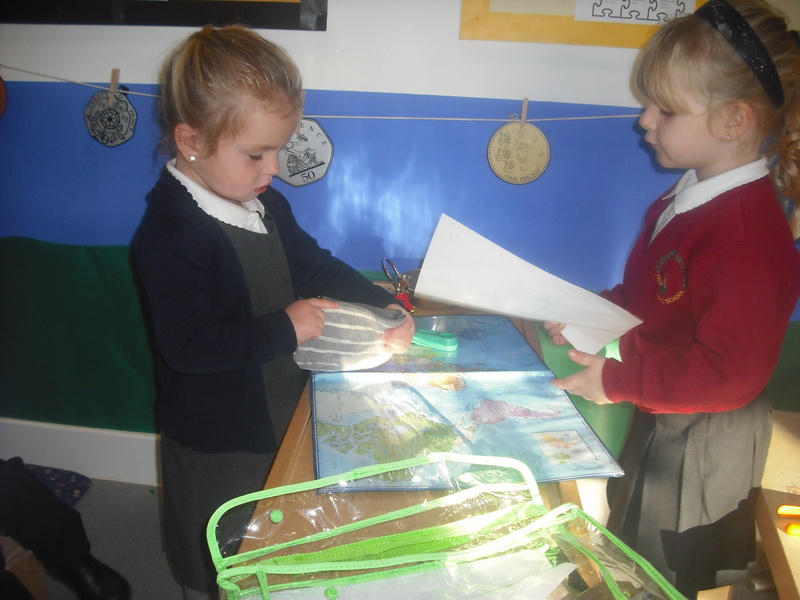 The pirates then needed to draw a map so they knew where to find the treasure. They collected some paper and started their maps. One of the pirates then decided to put their message in a bottle to send to other Pirates. She collected a bottle from the workshop inside and added her message. I wonder who will find the treasure next? 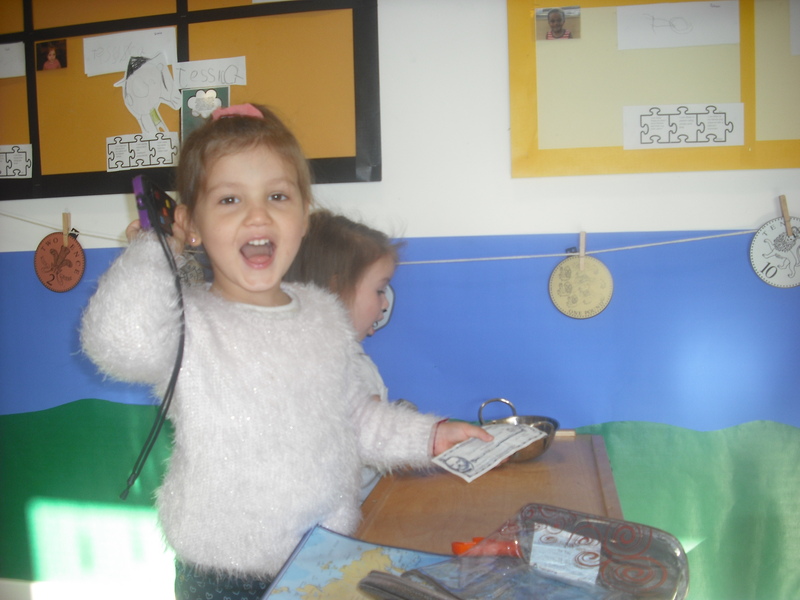 In their play children developed their imaginative language, speaking and listening skills, imaginative play and sharing their ideas with others. They built on each other’s ideas to keep their play going. Children then added mark making to their play drawing and writing messages and maps. 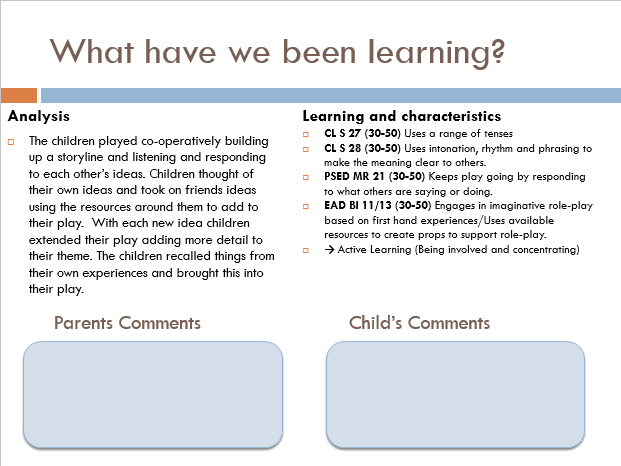 How can you continue this learning at home? 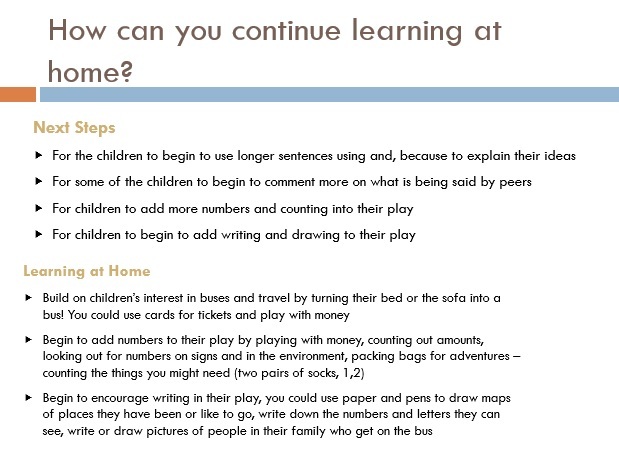 Provide children with pencils and paper to encourage writing and drawing in their play. 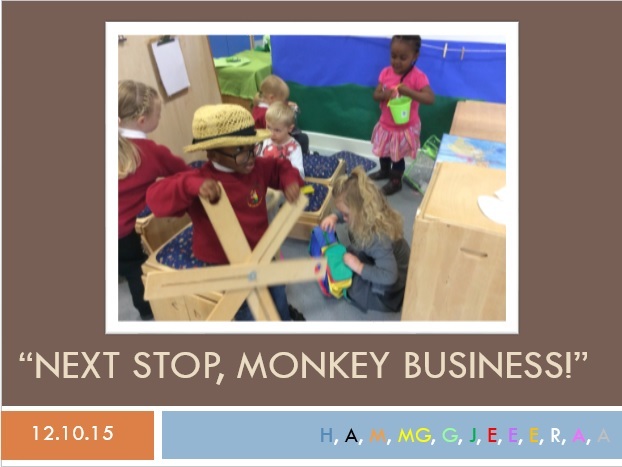 Encourage children to use things around them to extend their play and ideas. 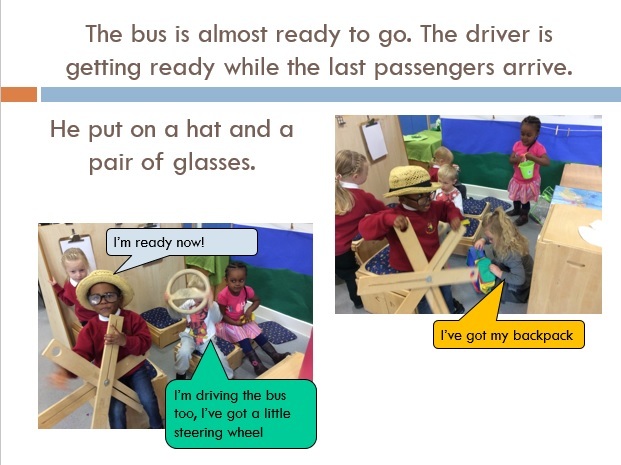 Give children open-ended resources like cardboard boxes to develop their imaginative skills.